Cover made from organic cotton. Pre-washed for a soft feel from the start. 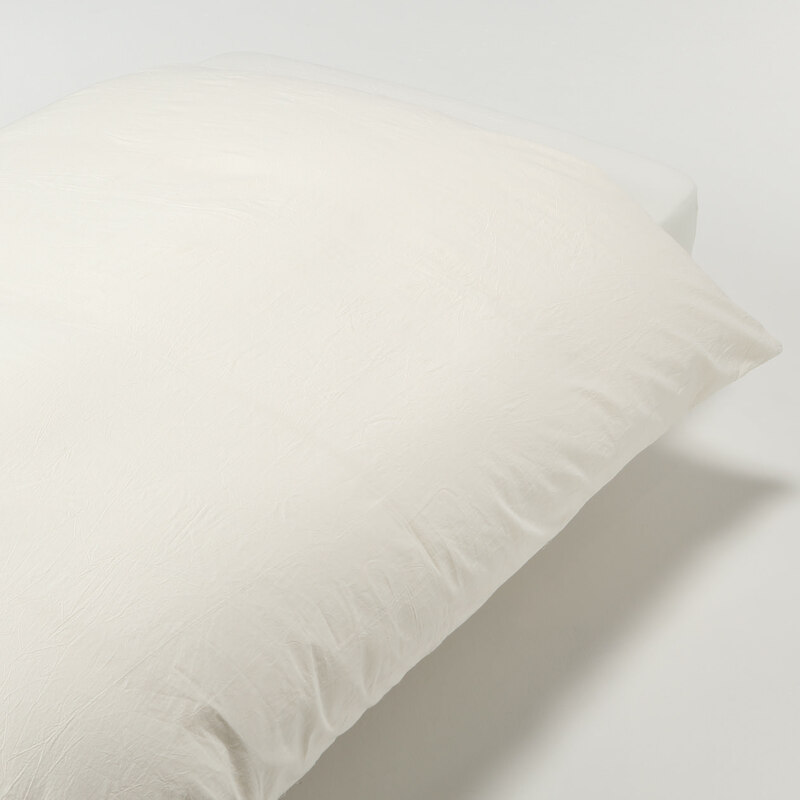 To make this smart, fashionably ‘creased’ cotton bed linen the fabric is washed during the production process – a simple technique that softens the fabric texture and increases it’s absorbency, giving it a lived-in appearance, like that of a favourite garment. 100% Organic cotton, Machine Wash.